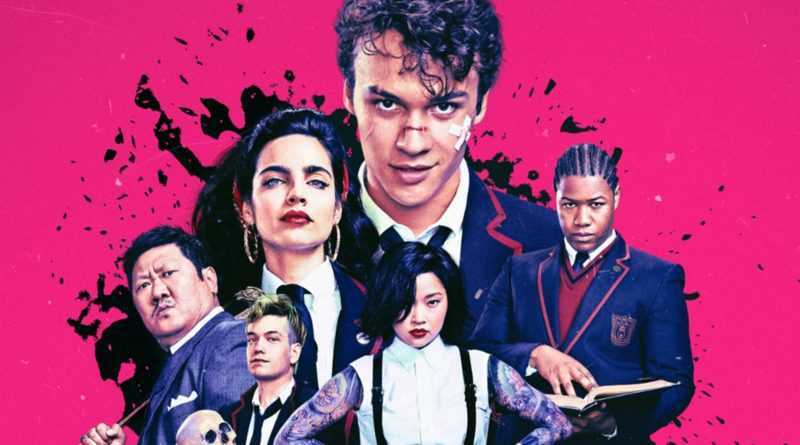 Deadly Class is SYFY’s latest comic book adaptation based on Image Comic’s 2014 graphic novel from Rick Remender/Wesley Craig. 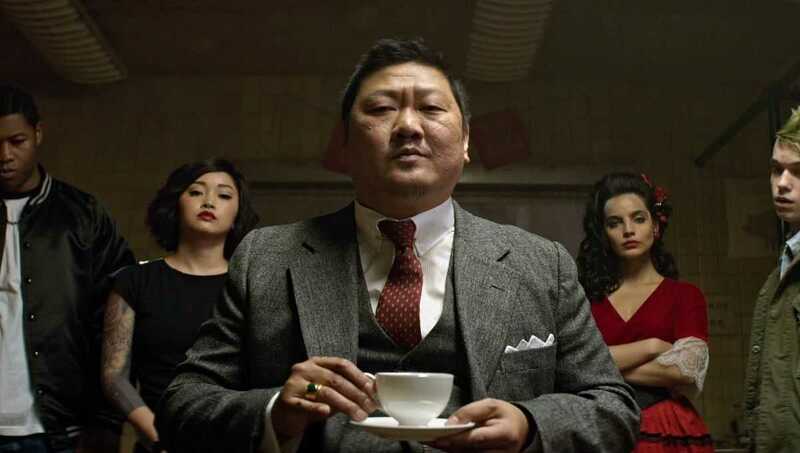 The series is executive produced by Avengers: Infinity War directors Joe and Anthony Russo and stars Doctor Stranger‘s Benedict Wong – so a pretty impressive project on paper. But how did the series premiere fair in an already crowded comic book based market? Well I’m glad to say I wholeheartedly enjoyed it; the pilot was a stylish opener filled with fantastic performances, a killer 80s soundtrack and a very intriguing premise! 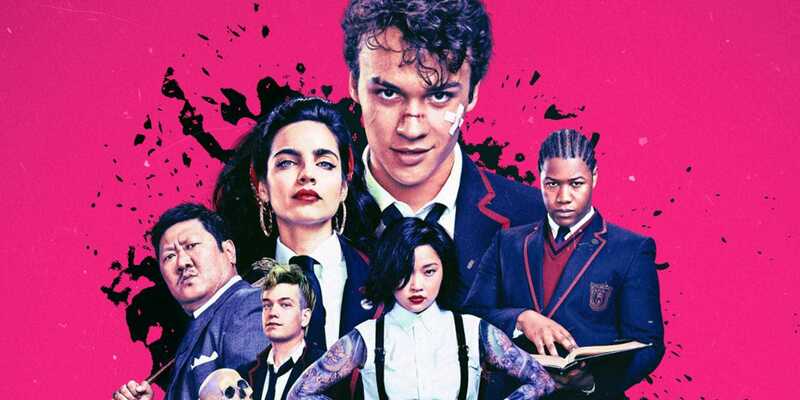 Deadly Class is the story of Marcus (Benjamin Wadsworth), a kid whose parents were both killed by a freak accident that can be pinpointed to Reagan’s repeal of the Mental Health Systems Act. This left Marcus in an abusive boys home, only escaping after the place was mysteriously burnt down. Homeless and on the run from the the authorities, Marcus is picked up by an eclectic bunch of teenagers, lead by katana-wielding Saya (Lana Condor), and taken to the mysterious Master Lin (Benedict Wong). Lin offers him a place at the elite King’s Dominion, a boarding school for prospective killers, with the promise that he could achieve the potential to change the world. With nothing much to lose, Marcus eventually accepts his offer. The pilot does a great job of introducing us to the hidden world of King’s Dominion, a secret and elite boarding school for gifted youngsters to learn the dark art of assassination – think Hogwarts for Slytherins! There’s classes for AP Black Arts, Hand-to-Hand Combat and even Poison Lab. I especially loved the look of the school, with most rooms lined with historical and ancient weapons and artefacts on display. One of my favourite sequences featured an interesting twist on the high school stereotypes; while orienteering Marcus (and the audience) round each clique in the cafeteria, we learn that the ‘preps’ are actually the trust-fund kids of top agents from the CIA and FBI. Along with kids from the Yakuza, the Mexican Cartels, the LA Gangsters, neo nazis and punk rock anarchists – anyone else picking up a Breakfast Club vibe yet? A definite highlight of the pilot was the eclectic ensemble and the talented cast on offer; on the surface they seem like your typical high school stereotypes, but scratch a little deeper and you’ll find that there’s some very interesting characters. Take Willie Lewis (Luke Tennie) for example, the son of a famous gangster and leader of the Final World Order, who actually admits to being a pacifist when faced with killing someone for his AP Black Arts assignment! I know the series centres around Wadsworth’s Marcus, but for me the true star of the show so far has to be To All The Boys I’ve Loved Before actress, Lana Condor – and I can’t wait to see more of the mysterious Saya. The eclectic ’80s soundtrack mixed with the stylish visual flair was also a personal highlight. I particularly enjoyed the stylistic elements of the day of the dead parade and the animation style used in Marcus’ childhood flashback. The punk rock 80s soundtrack featured Echo & The Bunnymen’s “The Killing Moon,” Killing Joke’s “Eighties,” and the Damned’s “Melody Lee” definitely drew similarities with Donnie Darko. One draw back of the show however was the overly angsty interior monologues from Marcus, I think the writers were possibly going for a Mr Robot/Fight Club vibe, but it kind of came across a bit too try hard.